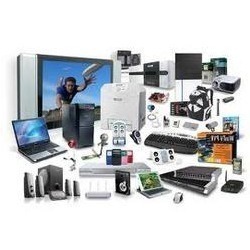 With rich industry experience, we are presenting our clients broad range of Computer Accessories. In our product range, we provide pen drive, mouse card, lap top cooling pad, laptop carrying case and others devices to our clients. Our product range is available in various specifications as per the various requirements of our clients. These products are highly cherished by our valuable clients for their high utility and functionality. We, Shreeji Compworld, established in the year 2017 are counted among the noticeable wholesaler, traders, service providers and suppliers of highly qualitative Computer Hardware Services, Computer Software Services, Network Solution, Computer Network Services, Old Computer, & CCTV Cemera. These products and services are provided by a team of experienced professionals as per the requirement of the customers. Our products and services are commended for their unmatched quality, high degree of reliability and affordability. The demand for our products and services is high in the market due to their durability and on time delivery. The products and services, offered by us are easily accessible to clients at budget-friendly market prices. Our products and services are provided to the customers as per their needs and stipulations. Our team of professionals comprises of hard-working professionals who work together in the form of specialized teams to ensure the satisfaction of our customers. Our products and services are rendered in a quality-compliant manner by a capable team of professionals who stay updated on the contemporary developments in the market. The segregation of our employees into specialized teams helps in the maintenance of a streamlined flow of work. Under the leadership of our mentor Mr. Sunil Rathod, we have established a loyal customer base in the market through our time-bound and efficient product and service provision.